Each jar of this Geo Organics curry paste is made up of organic ingredients that keep your curries nutritious as well as delicious; holding official certification from the Soil Association. This curry paste makes creating delicious curry simple; letting you get more adventurous in the kitchen with little effort. Thai green curry is ideal for those who like their curries to be quite hot and it also works well as a delectable vegan dish. Load your green curry with veggies for a delicious meal that vegans can enjoy. 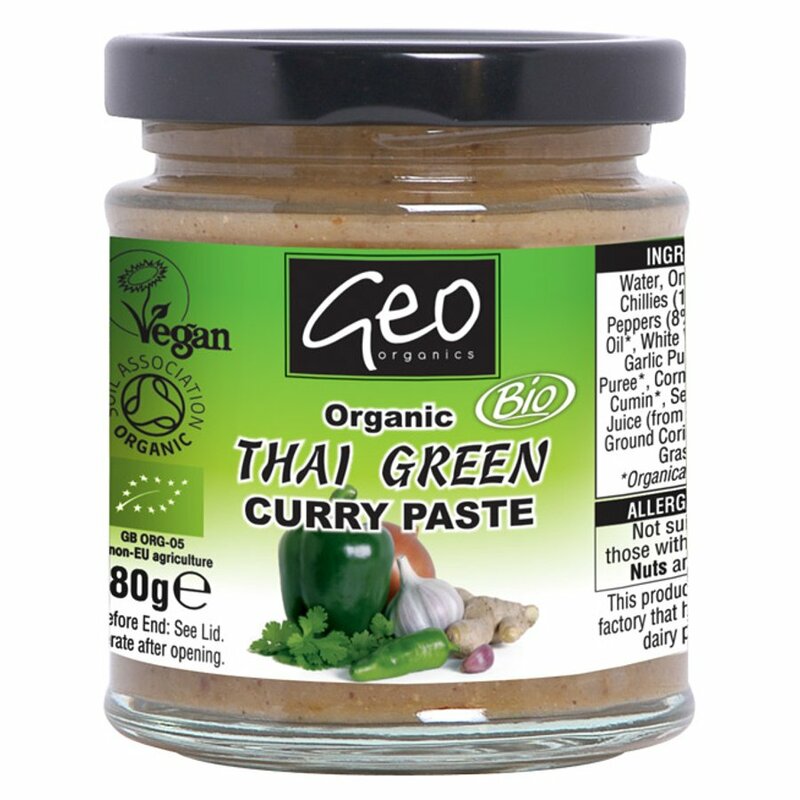 The Geo Organics Thai Green Curry Paste - 180g product ethics are indicated below. To learn more about these product ethics and to see related products, follow the links below. 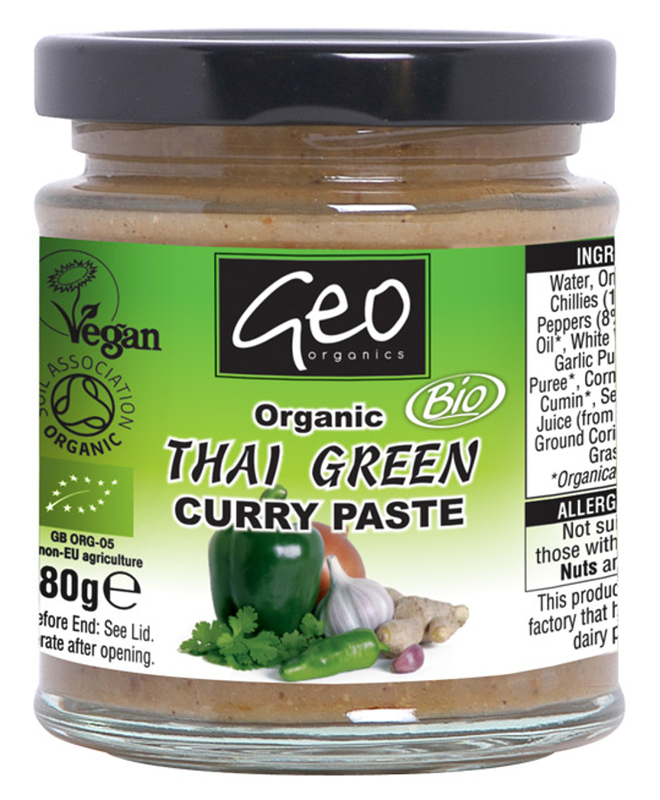 There are currently no questions to display about Geo Organics Thai Green Curry Paste - 180g.